And so it came to pass, 2009 years after the birth of Christ, that four regular Americans have taken a stand to defend the People's right to protect themselves from a government currency that has a long and unforgiving history of stealing the people's purchasing power. This is a test of individual rights, as protected by the Tenth Amendment. It is the deciding moment that a private voluntary barter currency (PVBC) is legal in the great United States of America. This is a test that the Liberty Dollar must and will pass, for that I have no doubt. But it will not be easy or cheap. Please, if you support our efforts, support us with any kind of money you have, including pro bono services. Now that the Liberty Dollar faces a federal criminal trial, it is the US Government v Liberty Dollar ala Bernard, Kevin, Sarah & Rachelle. Please help us win. Please help yourself win. Please help American win. There are three states in the country that have only one abortion clinic, Rachel Maddow reported on MSNBC last night. Others heavily restrict abortion, ban abortions in clinics or any facility that receives public funds, or ban abortion counseling or clinic recommendations. The effect, she explained, is that in 87% of all U.S. counties it is not possible to get an abortion. "Why bother making it illegal if you can just make it impossible to get?" Buxton police raided a building where people were trying to raise money to give free food to the needy. "We've had a lot of people who come here -- people who are out of work, people who have cancer. We have a lot of people," said Groder. But state police are standing by what was done. "In this particular case they weren't licensed, and they knew they weren't and they knew they needed one," said Lt. David Bowler of the Maine State Police. TVNL COMMENT: Is that why they became police? Is this their idea of helping to keep society safe from crime? There is no way to describe people like this without using expitives! Former defense secretary Donald Rumsfeld has always answered his detractors by claiming that history will one day judge him kindly. But as he waits for that day, a new group of critics—his administration peers—are suddenly speaking out for the first time. What they’re saying? It isn’t pretty. DHS has become an albatross of surveillance choking American necks. Internal documents such as the lexicon and the rightwing extremism report, combined with previous examples of DHS helping state fusion centres watch over antiwar protesters under the Bush administration, show that DHS is not only actively undermining American civil liberties but is also politicised by whichever party is running the country. This isn't a left-right issue, it's an American issue. 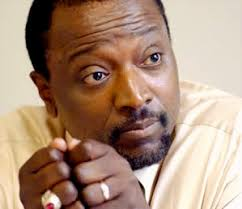 Alan Keyes, who lost to Barack Obama in a U.S. Senate race, was arrested Friday protesting President Obama's invitation to speak at Notre Dame in Indiana. Keyes and 20 others were charged with trespassing, Dennis Brown, a spokesman for the Catholic university, said. Brown said the university has a long-standing policy that only student-led demonstrations are allowed on campus with approval from the office of student affairs.